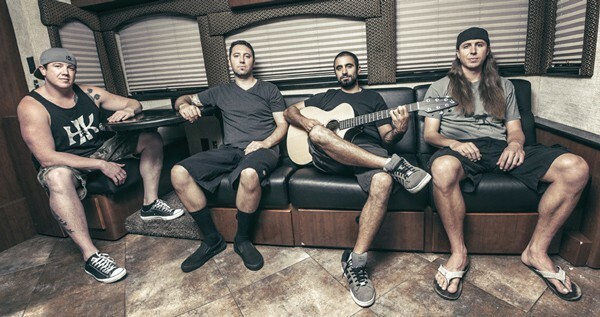 Hear reggae band Rebelution perform at Midtown Ballroom, 3/4. The best way to describe Rebelution's sound is White Jam Band Reggae. There are aspects of roots reggae, Santana-esque electric guitar solos and California easy listening involved as well, so it's pretty hard to lock down exactly what Rebelution is after when it comes to its sound. However, since they had the best selling reggae album of the year in 2014, whatever they are up to is working. Rebelution formed in Isla Vista, a beach-side community near Santa Barbara, Calif., in the early 2000s. The group slowly but surely built up a passionate local fan base with a self-released EP and constant touring throughout 2004 and 2005. Then in 2007, the full-length album "Courage to Grow" peaked at #4 on the Billboard Top Reggae Albums chart. The album is message heavy, with singer Eric Rachmany focusing on positivity and preaching that people using their minds for good is the only way to live. 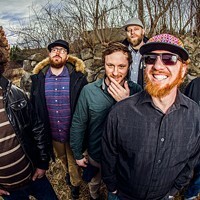 The album is mostly a laid back reggae throwback with a few solid stabs at dub and, smartly, "Courage to Grow" deftly avoids getting caught up in any ska punk pitfalls. In 2009, Rebelution released "Bright Side of Life," an album that definitely eases into their roots reggae sound while embracing dub even more. Tracks like "Dubzilla" and "More Than Dub" easily could be mistaken for late-1980s music by Jamaican Lee "Scratch" Perry. The album isn't a marked progression from "Courage to Grow," but why fix something if it isn't broken? "Bright Side of Life" chooses not to protest anything, but instead preaches to the choir for a better way to live. In 2012, "Peace of Mind," released through the band's own record label, 87 Music, debuted at #13 on the Billboard top 200 charts and sold 16,000 copies in its first week. The deluxe version of the album swings for the fences as it contains the studio versions of each track, as well as acoustic versions and dub versions. Truthfully, the dub and acoustic versions of each song sound better than the originals, as the focus on the musicality of the band works much better without the preachiness. Rachmany's guitar, Rory Carey's keyboards, Marley D. Williams' bass and Wesley Finley's drums are much more pronounced in the instrumental versions of the tracks and it's easy to see why the group's live shows are so popular. Rebelution's latest album is 2014's "Count Me In," which gave the band its third consecutive #1 album on the Billboard Reggae charts. "Count Me In" dives headfirst into the dancehall reggae trappings of pioneers like Beenie Man, Buju Banton and Barrington Levy. The record balances the lyrical content, horns and the band's tightness to the best effect yet. There is a confidence to the record that earlier work lacks. California-ized reggae doesn't need to be seen as a negative since the cultural appropriation isn't part of the message. Though Rebelution is singing the anti-Babylon Rastafari message of focusing more on love instead of capitalism, they are unlike Caribbean-style reggae artists who focus on issues of life and death. 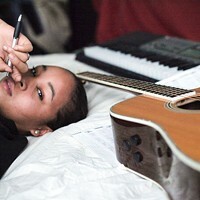 Rebelution is singing from the heart in a genre that each member seems to care about deeply. "Count Me In" is the best argument for the band's place in the pantheon. It's simple reggae music without cynicism, but with plenty of respect for what has come before. Friday, March 4, 8 p.m.